Each capcode is composed of an Address, FAC, BLK, and a TYPE. The PPS checks for the correct grouping and ranges in each Field. 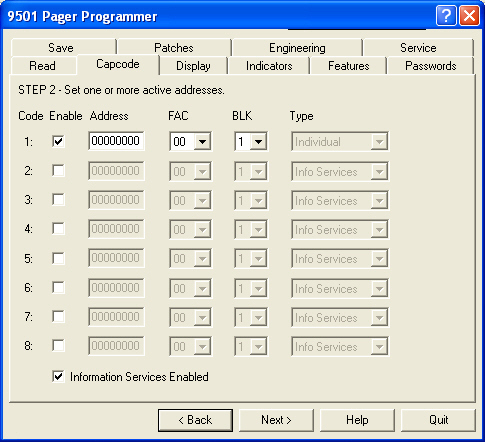 Certain restrictions have been built into this validation in order to allow for proper operation of the pager.